I believe the date was January 10, 2010. I still believe that 2009 was the most challenging year of my life. In January of that year, I was rejected for a promotion at my old call center job that I was immensely and imminently qualified. In July of that year, I suffered my life-threatening illness. Of course, in February, I saw my mom pass away. Starting in September, a workman-like group of Football players started doing something spectacular. They started winning every game they played. The 2009 Alabama Crimson Tide will go down as my favorite Bama team of all time. They went 14-0, won the SEC championship, Mark Ingram won Bama’s first ever Heisman, and they went out and won their 13th national championship. After I got home from Dad’s place after watching Bama finish off the Texas Longhorns, I did three things. · I poured myself a drink – Jack Daniels on the Rocks. · I pressed play on Steely Dan’s iconic song Deacon Blues. 2015 was a terribly challenging year for me. I lost my dad the previous December. I felt lost, lonely, and unsupported by all but a few. July 8 was a Wednesday. I’d just finished a coaching call when Pete started barking. I looked up and saw the UPS driver drive away. He left a small brown package at my door. The return address was from an up-and-coming website called amazon.com. I knew what it was, but I could hardly believe it. I held in my hands an actual copy of Written in the Stone. A 30-year dream just came true. I did two things after I opened that book. · I pressed play on Deacon Blues. I forget the date, but it was December of 2016. It was finals weekend for my Coach Training program. And to my utter shock and disbelief, I passed both my written and oral finals. I’m walking down the waterfront in Downtown Manhattan. I’m listening to random music and something calls to me. I’m pretty sure the voice was that of my dad. · I’m walking down the waterfront and singing the chorus at the top of my lungs. · I’m crying my eyes out. Why do I bring up these three stories with this song? When Donald Fagen and Walter Becker were working on that song, Becker came up with the iconic line. “You mean, it’s like, they call these cracker assholes grandiose names like the Crimson Tide, and I’m this loser so they call me this other grandiose name Deacon Blues?” Becker told Fagen. 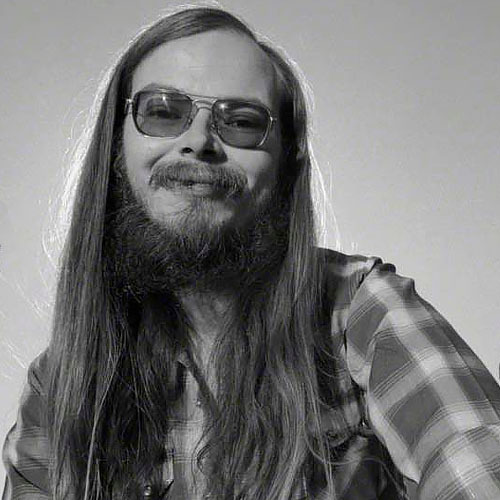 We lost Walter Becker on Sunday. He hadn’t been well, but his passing caught me off guard. Becker was a gifted guitarist, bass player, and genius lyricist. He was only 67 years old – one year older than my dad. I don’t have to tell you just how much Steely Dan’s music means to me and my healing from losing my dad. Their songs have done more to keep my dad’s spirit alive in my soul more than anything. Fagen has said that he’s going to keep the music they created alive with his existing band. And for that, I’m terribly grateful. Walter, I acknowledge your artistry. I acknowledge your love for music. I acknowledge your love for the men and women you play with. And I acknowledge your commitment to the legacy of your creation. And Walter, there’s one more thing I want you to do for me. A personal favor. You’ve got a big fan who wants to buy you a shot of that Cuervo Gold. Tony is terribly excited to meet you. Thank you, Walter. You are and were a major dude. You were the expanding man.